SportsLine's advanced computer model simulated Clippers vs. Knicks 10,000 times. The Los Angeles Clippers look to continue their recent mastery of the New York Knicks when they meet Sunday. The Clippers (43-30) have won 12 of 13 in the series since 2013, while the Knicks (14-59) have struggled, going 6-22 against Western Conference foes. New York is 7-28 on its home court. Tipoff from Madison Square Garden is scheduled for noon ET. Los Angeles is a 9.5-point favorite in the latest Knicks vs. Clippers odds, while the over-under for total points scored is 223. You'll want to see the NBA predictions from the SportsLine Projection Model before laying any Knicks vs. Clippers picks down. This model, which simulates every game 10,000 times, is crushing its NBA picks. It entered Week 23 of the 2018-19 NBA season with a sterling 253-195 record on all top-rated picks, returning well over $4,000 to anybody following them. 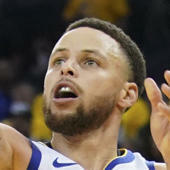 And it has been particularly red-hot on its A-rated NBA picks against the spread, entering Week 23 on a strong 59-44 run. Anybody who has followed it is way up. Now the model has dialed in on Knicks vs. Clippers. We can tell you it's leaning under, but it's also showing an extremely strong against the spread pick that cashes in nearly 70 percent of simulations. That one is available exclusively at SportsLine. The Clippers enter the game with a statistical advantage over the Knicks in a number of categories, including 3-point field goal percentage (second at .383 compared to 26th at .343), points in the paint (sixth at 3,722 compared to 23rd at 3,244) and free throw percentage (eighth at .792 compared to 19th at .758). The Clippers are 33-6 this season when they out-rebound their opponent and are 20-4 when they have more than 25 assists. The Clippers, who are a league-best 13-4 since mid-February, are led by guard Lou Williams (20.2 ppg). Williams scored 40 against the Thunder March 8 and 34 against the Celtics March 11. Forward Danilo Gallinari (19.6 ppg), who ranks fourth in the league in free throw percentage and fifth in 3-point percentage, scored 27 at Cleveland Friday and 24 vs. Indiana on Tuesday. But just because Los Angeles been dominant of late doesn't guarantee it will cover the Clippers vs. Knicks spread on Sunday. That's because New York has a history of success against the Clippers. The Knicks lead the all-time series 70-59, including a 107-85 win over Los Angeles at Madison Square Garden last season. Emmanuel Mudiay will likely start at point guard for the Knicks. He's been coming into his own of late, averaging 17.5 points over the past four games, including 28 against the Lakers on March 17. Two other red-hot players are forward Kevin Knox and shooting guard Damyean Dotson. Knox, who is averaging 19.3 points over the past four games, scored 19 against Denver on Friday and 27 against the Jazz last Wednesday. Dotson is averaging 18.3 points over his last seven. Who wins Clippers vs. Knicks? And which side of the spread hits in nearly 70 percent of simulations? Visit SportsLine now to see which side of the Clippers vs. Knicks spread to jump on, all from the advanced model that is up more than $4,000 on its NBA picks this season, and find out.